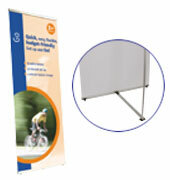 The Go banner stand is a very portable stand with a durable tensioned pvc banner. It takes seconds to put up, and you can swop banners over at will. Looks good and is really cost-effective. 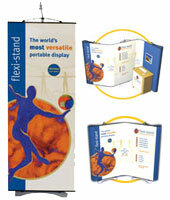 The Jet is the ideal budget-friendly banner stand. 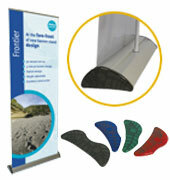 Its huge popularity comes from combining easy to use roll-up graphics with great prices and reliability. Big discounts for volumes. 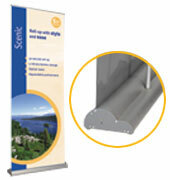 The Scenic is stylish, reliable, user-friendly and great value. It boasts good looks, high portability, a good guarantee, and dependable performance. The Nautilus - probably the top selling roller in the UK offering a winning combination of reliability, durability, stylish looks, ease of use and value for money. The new Frontier is set to become a major new stand in the UK. 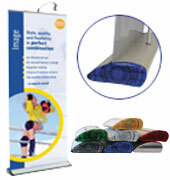 Excellent quality construction, easy to use, stylish design, height adjustable, different colours, excellent value. 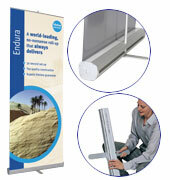 The Endura is a world-leading, top quality roll-up - a pleasure to use. 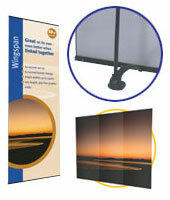 Durable and stable, a no-nonsense work horse that always does justice to its message. Backed by a superb lifetime guarantee. 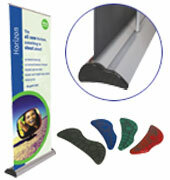 The new Horizon has got it all - excellent quality roll-up, durability, stability, style, fast set-up, quick-change banner cassettes, height adjustable, lifetime guarantee, great price. Double-sided options. 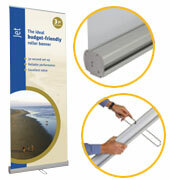 The Image - widely regarded as the best roller banner in the world. 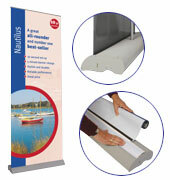 Superior styling, top build quality, quick-change banner cassettes, options on width, height and colour. A superb stand. 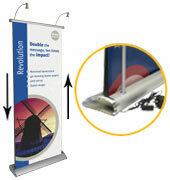 This amazing motorised stand powers a scrolling banner, creating a truly eye-catching and engaging display. 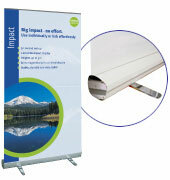 Like two banners in one, it delivers twice the message with ten times the impact.